The Twin Bag was designed by Klaartje Martens for Maharam. 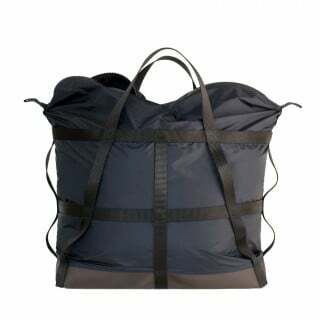 The bag is made of a waxed canvas, which is a durable, waterproof material with a visual texture. 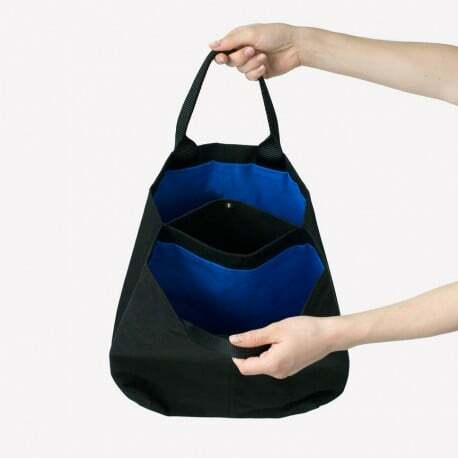 The bag is held by two nylon handles, and features two distinct sections and interior pockets for easy organization. 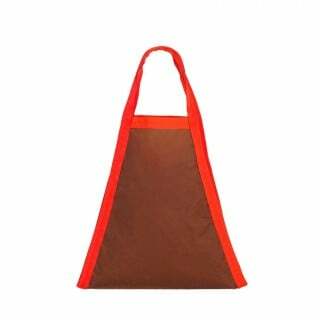 The Twin Bag is reminiscent of traditional tote silhouettes, but it features a visible seam on either side, as well as gently sloped corners. 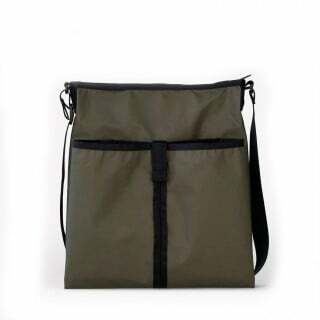 The result is a bag that is at once utilitarian and distinctive, that can be used as a commuter bag, shopper, or even as an oversized purse. 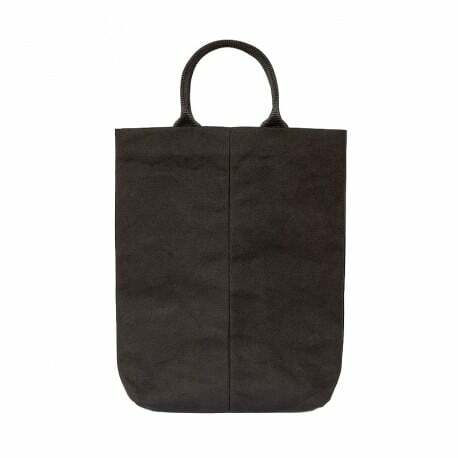 Waxed cotton canvas with nylon handles. Full poplin lining. 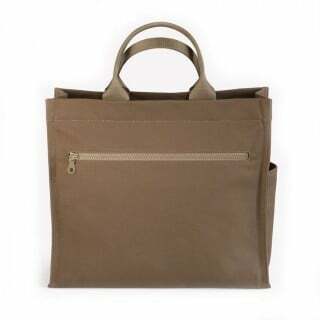 Two compartments; one interior pocket with snap closure. Light and dark variation is inherent to this waterproof textile. Clean with damp cloth. 32 cm W x 38 cm H x 6 cm D.